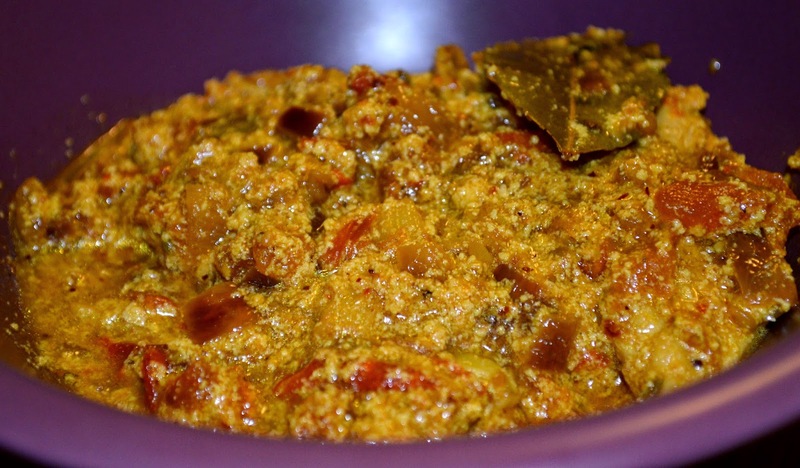 "Chicken Achaari" basically is an Indian-cuisine, spicy semi-gravy chicken. It is prepared with the spicy masalas used in making pickle (achaar). In the recipe, I have mentioned mustard oil, which will indeed give the best flavour to this particular chicken. 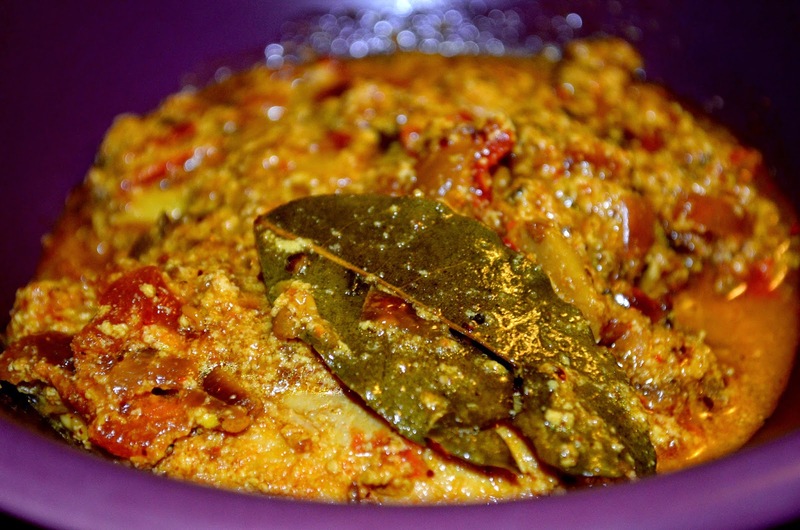 Personally I used the oil from my green chilli pickle, and it imparted a wonderful taste to the whole dish. 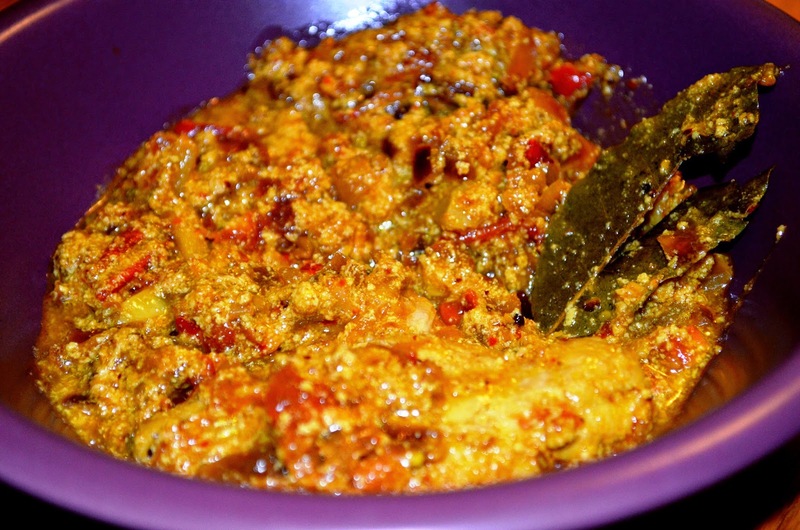 So, if you have left over oil in the pickle jars, use that to add add new dimension to this "Chicken Achaari". Otherwise, any other oil can also be used. I served this with Roomali Roti. Clean the chicken and sprinkle the turmeric powder on it. Keep aside. 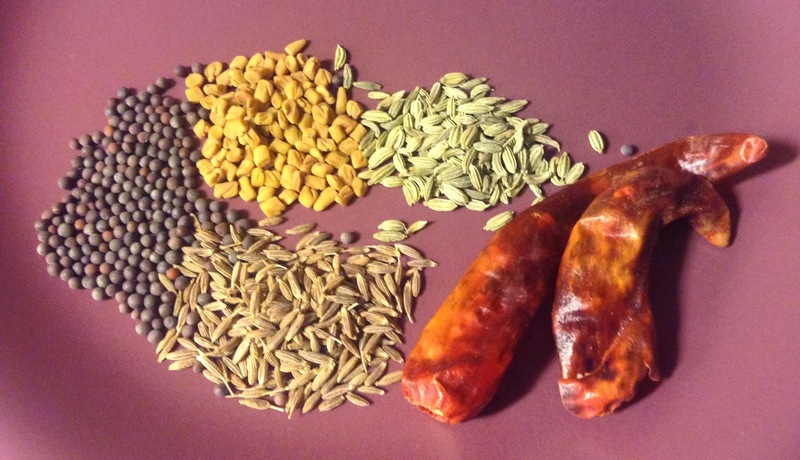 Dry roast red chillis, fennel seeds, cumin seeds, mustard seeds and fenugreek seeds. Let them cool and grind them together to a powder. Keep aside. 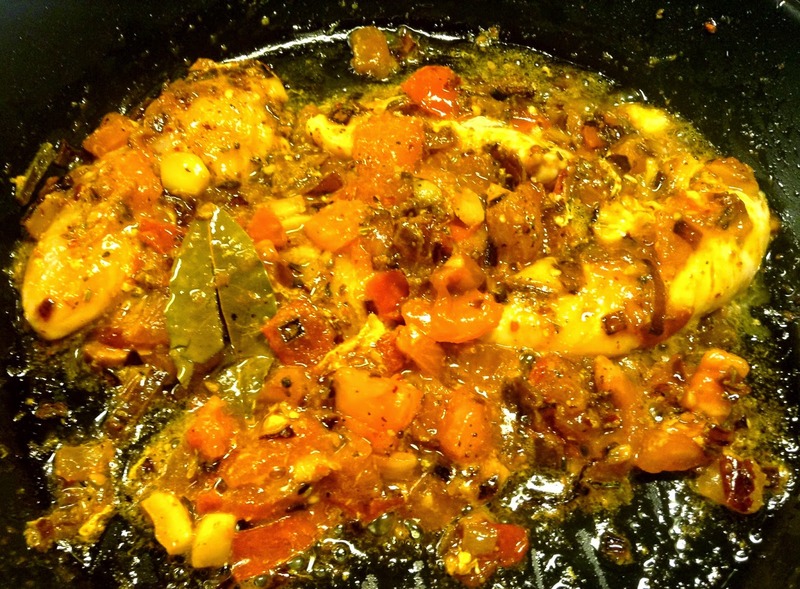 Heat mustard oil in a pan and temper the cloves and the bay leaf. Add the chopped onions and fry until they start turning brown on medium flame. Add chopped ginger and garlic. Let cook for about 5-7 minutes. Add the tomatoes and cook until they become soft and mushy. Add the chicken and the spice powder. Mix well and cook for 5 minutes. Add the yoghurt and salt and mix well. Cover and let cook for 15 minutes. Remove cover, mix well and serve hot fiery Chicken Achaari.